Factors to consider when shopping for a floor? What Type of Hardwood Floor? What Grade of Hardwood Floor? 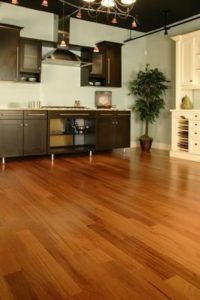 What Type of Finish for Your Hardwood Floor? Can ceramic tile be used outdoors? What is the difference between glazed and unglazed tiles? Should a sealer be used on ceramic tile? What is the difference between sanded and unsanded tile grout? If I drop something on my kitchen floor, is it going to crack the tile? I’d like to buy ceramic tile for my great room, but won’t it be cold? Why does porcelain tile cost more than ordinary ceramic tile? How can I drill a hole through ceramic tile? How can you tell if the grout joints need to be resealed? What brands of flooring products do you sell? Health effects. Doctors often recommend hardwood floors when their patients have allergies to dust and pet dander. Longevity. Can the floor be refinished and – if so – about how many times? Durability. Will the floor stand up to the demands of everyday life? Hardwood floors certainly will. It’s no coincidence pro basketball courts have maple floors. Installation and maintenance. Will laying the floors pose any particular challenges? Is maintenance simple? Cost. How much does an inexpensive floor really cost if it only lasts several years? Hardwood floors will last a lifetime. Sustainability. American hardwoods are sustainable, renewable and environmentally friendly. Every year, this country’s hardwood forests grow twice as much wood as we harvest from them. Hardwood floors are environmentally friendly and they add to the value of a home. A recent survey of real estate agents estimates that hardwood flooring can add as much as $7,000 to $10,000 to a home’s resale value. STRIP flooring accounts for the majority of installations. Strips usually are 2-1/4 inches wide, but also come in widths ranging from 1-1/2 inches to 3-1/4 inches. They are installed by nailing to the subfloor. PLANK flooring boards are at least 3 inches wide. They may be screwed to the subfloor as well as nailed. Screw holes can be covered with wooden plugs. PARQUET flooring comes in standard patterns of 6″ x 6″ blocks. Specialty patterns may range up to 36″ square units. Parquet often achieves dramatic geometric effects of special design patterns. A solid hardwood floor can be installed on a concrete slab as long as the floor is on or above ground level. They can be sanded and refinished over several generations of use. Solid wood flooring expands and contracts with changes in your home’s relative humidity. Normally, installers compensate for this movement by leaving an expansion gap between the floor and the wall. Base moulding is the traditional “cover-up” for this gap. Made of several layers of different woods or different grades of the same wood stacked and glued together under heat and pressure. Engineered wood flooring is less likely to be affected by changes in humidity and can be installed above, on, or below ground level. Some engineered wood floors with thicker top layers can be sanded many times. A plywood base topped with a layer of veneer. Plies and thicknesses vary, but three-ply, 3/8 inch flooring is most common. (Remember that solid hardwood floors, at 3/4 inch, are twice as thick as wood laminates.) The veneer topping of wood laminate floors (commonly 1/8 inch thick) can be sanded and refinished three times, at most. Most manufacturer warranties cover the finish for five years. 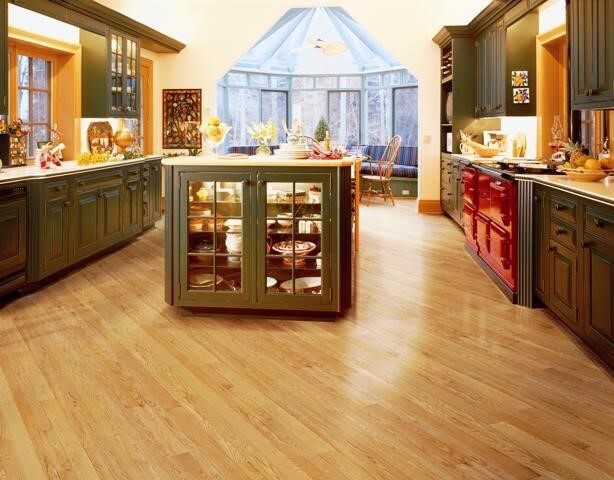 Usually 1/2 inch thick, plastic laminate flooring consists of a fiberboard center wrapped in top and bottom layers of high-pressure laminate — a tougher version of the same material used in many kitchen countertops. These floors cannot be sanded or refinished and must be removed when they wear out. They usually come with 10- or 15-year manufacturer warranties against fading, stains and wear. Look closely at an entire laminate floor, and you’ll see that the faux “wood grain” pattern repeats itself. That’s because laminate flooring is actually a photograph of real wood stuck to a wood composite. Laminates don’t sound like real wood either. When it comes to hardwood flooring, the term “grading” is sure to come up. Grading refers to the system used by manufacturers to assess the appearance of hardwood floors. NOFMA: The Wood Flooring Manufacturers Association grades emphasize color, grain pattern and other markings that occur in wood. Color is determined by what part of the tree the wood comes from, and the grain pattern is determined by species and how the wood is cut. Heartwood, the oldest, densest, innermost section of the log, is often darker and richer in color than sapwood, which lies closest to the bark. The color difference may be so pronounced that heartwood and sapwood from the same species are marketed under separate names. See the tree diagram in the “Natural Variations in Appearance” article. Boards can be cut from a hardwood log in several directions: tangent to the annual rings (plain-sawn or flat-sawn), or radially, across the rings (quarter-sawn and rift-sawn). Arched or flame-shaped markings, evident in bold-grained hardwoods such as oak, characterize plain-sawn wood, while rift-sawn and quarter-sawn or “quartered” boards show a pattern of roughly parallel lines. Both have advantages depending on application and species. You can choose from two types of finishes: surface finishes or penetrating finishes. OIL-BASED URETHANE is the most commonly used floor finish. Available in gloss, semi-gloss, and satin sheens, oil-based urethane is generally applied in two or three coats, with drying time of up to 8 hours for each coat. This type of finish emits fumes as it dries, so adequate ventilation is important. Clean up is accomplished with a solvent similar to paint thinner. An oil-based urethane finish ambers with age. WATER-BASED URETHANE provides a clear, non-yellowing finish and produces fewer odors than other choices. This product dries quickly, and clean up can be accomplished with soap and water. Some manufacturers make available additives called “cross-linkers” that can be mixed into the water-based finishes for added durability. MOISTURE-CURED URETHANE is a solvent-based polyurethane that is more durable and more moisture-resistant than other surface finishes. It is mostly used in commercial, high-traffic settings like stores or offices. This finish is available in a satin or gloss non-yellowing formula, as well as one that will take on an amber hue with age. This finish has a strong odor and its application is best left to the professional. CONVERSION VARNISH is a clear, non-yellowing product that dries in about 8 hours. Like moisture-cured urethane it produces a very strong odor and should only be applied by a skilled wood flooring professional. PENETRATING STAINS AND FINISHES – these finishes do exactly what their name implies: they penetrate the wood to form a protective seal. The stains soak in to provide color, and a wax coating gives a low-gloss satin sheen that can be maintained with additional thin application. These finishes require special care—water-based products should never be used to clean or maintain the floor, only solvent-based waxes, buffing pastes, or cleaning liquids specifically made for wax-finished wood floors. SHEEN – High gloss, low gloss, satin finish – your choice is a matter of personal preference. Keep in mind, however, that high gloss finishes show scuffs and scratches more readily than low gloss or satin finishes. High gloss finishes reflect more light and are typically used in more commercial or contemporary settings, while satin finishes reflect less light and are favored for more traditional settings. EXTRA-DURABLE FINISHES – the latest trends in finishes include products designed to further extend the life of hardwood floors and make them more durable than ever. Some polyurethane finishes contain aluminum oxide to enhance the abrasion-resistance qualities of the floor. Some manufacturers report that this finish is 10 times more abrasion-resistant than other wood finishes, and are guaranteed for up to 25 years. Swedish finishes are resin-based finishes that originated in Sweden. They form a tough film that is thin enough to allow the grain of the wood to be felt. Swedish finishes do not require waxing and can be recoated without sanding. Acrylic finishes provide an extremely hard, durable barrier to dirt, moisture, and wear and tear because the finish is actually forced into the pores of the wood at the factory. Acrylic-impregnated floors are among the most expensive and are often used in commercial settings. Thanks to advances in the heated floor industry, you can install hardwood floors over radiant heat – with confidence. That means you can enjoy the natural beauty of oak, ash, cherry, maple, hickory, walnut and other fine hardwoods and the comfort and efficiency of radiant heating. As early as 60 AD, the Romans discovered one way to heat an enclosed space is to introduce heat below the floor surface and let it radiate upward into the structure. Millennia later, radiant heating is more energy-efficient than conventional forced-air heating systems. Some manufacturers say their radiant heating systems will cut energy bills by 20 to 40 percent by avoiding the heat loss associated with forced-air systems. In most buildings, heat loss is greatest in the top half of the rooms and that’s where heat is concentrated with forced air heating systems. Manufacturers also say radiant heat is more efficient because it warms the feet – where circulation is poorest – making people feel more comfortable. Today’s radiant heat systems use a three-stage process to convey heated water to its destination. 1. A water heating system – comprising a standard boiler, water heater, geothermal heat pump or solar panels – warms the water. 2. A series of controls then pumps the heated water through a tubing network that is installed in the subfloor. 3. As the warm water moves through the tubing network, it releases its energy and returns to the boiler system to be reheated. This makes for smooth and gentle temperature variations. Radiant heat systems can be installed in just one room or throughout a new or existing home. A plumbing and heating contractor typically performs the work in conjunction with a flooring installer. Most radiant heat system manufacturers will provide the names of contractors in a given area. Installing hardwoods over radiant heat isn’t much different from laying a typical hardwood floor. The moisture content of the wood flooring itself is important too. For that reason, it should be kept in the room in which it will be installed for a couple of weeks before it is laid. Radiant heat works well with many different flooring types, including strip flooring (pieces that are less than 3 inches wide) and parquet patterns. The only design option that should be avoided is plank flooring (pieces that are more than 3 inches wide) because seasonal variations in moisture content may cause gapping between the boards. With or without radiant heating systems, all hardwood floors undergo some expansion and contraction as seasons change. You can compensate for this by allowing expansion gaps at the edges of the floor (to be concealed by the overlapping baseboard) and by using tongue-in-groove strips and strips with beveled edges. To be used outdoors, we recommend the tile must be frostproof and unglazed for floor use. Make sure the absorption rate is 0.5% or less. Since our ceramic tiles are glazed, they are not suitable for outdoor installation. Glazed tiles are coated with a liquid glass, which is then baked into the surface of the clay. The glaze provides an unlimited array of colors and designs as well as protects the tile from staining. The unglazed tiles are pretty much the same as the glazed tile, except that their surface is not coated. Unglazed ceramic tiles do not show wear because their color extends throughout the tile, making them ideal for commercial applications. Unsanded tile grout is used on ceramic tile that has been installed with a grout joint width of less than 1/8 of an inch wide and should always be used on polished natural stone products. Sanded tile grout is used on tile with a grout joint width equal to or greater than 1/8 of an inch. It depends. With proper installation, ceramic tile is very durable. If you drop a glass or dish, the glass or dish will most likely break, while the tile may chip or crack. Not necessarily. Porcelain tile is no different in temperature than anything else in the room; it’s just that we tend to equate smooth with cold. (Of course, cool is good in warm weather climates!) Still, it’s easy to warm things up with an area rug or two. Because you are getting a superior product. Porcelain tile requires the finest natural ingredients and a rigidly controlled manufacturing process that utilizes the most advanced processes and technology. Glazed tile should never be waxed. The purpose of the glaze is to give you a maintenance-free floor. If you wax the glaze, you will create more work for yourself. To keep your tile looking new, use a small amount of vinegar in warm water, plus a clean rinse. Use a diamond drill bit. If you put a few drops of water on the grout and they bead up, the sealer is OK. If the water absorbs into the grout, it is time to reseal.